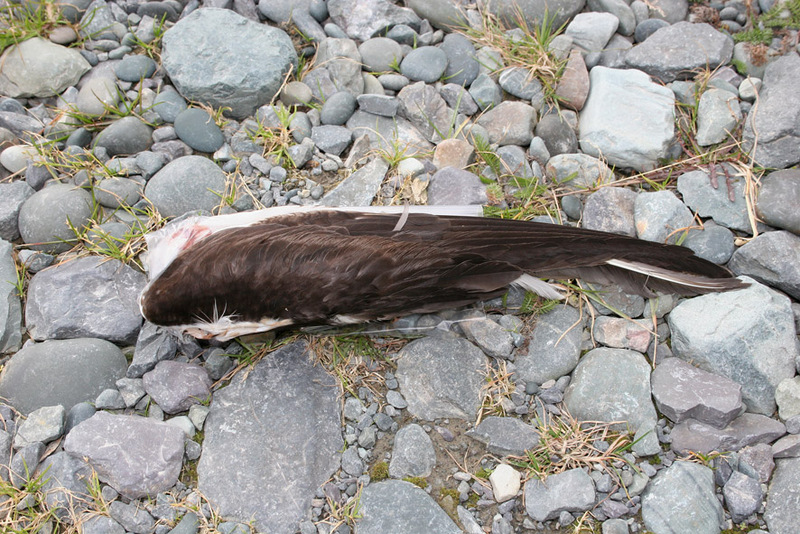 This Sooty Tern wing was part of a carcass found freshly dead and partially consumed near Mistaken Point on October 18, 2005. It is the only record for Newfoundland. Origins: Breeds on island throughout the equatoril zone, wintring widely in tropical oceans. Most records in the north Atlantic are following hurricanes and/or tropical storms. Record Details: One record for Newfoundland – an apparent adult found freshly dead near Mistaken Point on October 18, 2005.